Feb. 22 -- At 6:59 p.m., a non-injury accident on Ky. 1940 four miles east of town was reported. Elsie Hunt of Ruddles Mill hit a deer. Feb. 23 -- At 3:38 p.m., a non-injury accident on Ky. 353 happened about 3:38 p.m. Jerry Black of Pleasant Street was behind Charles Biancke of East Pike Street when Black eased out of the intersection. Thinking he was turning, Biancke rear-ended the other vehicle. Harrison County Judge-Executive Alex Barnett has joined the governor in declaring a state of emergency. Harrison County FFA students are asking farmers to say “yes” when asked to add $10 to the fee on their farm tag license this year. It’s an easy and quick way to directly support local FFA and 4-H educational programs and projects, said Gracie Furnish, FFA vice president. Kentucky State Police in Hazard arrested a Harrison County man last week on charges connected to an alleged carjacking that occurred earlier this month. The job of bringing the new welding shop into reality has fallen, finally, upon the shoulders of the Harrison County School system. Property owners and residents of Cedarbrook are facing the very real possibility of their homes being legally condemned by the state health department because no one is stepping forward to manage their sewer system. 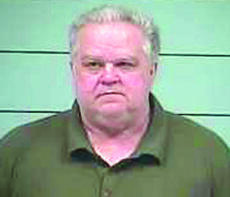 A Harrison County grand jury met Tuesday, March 3, returning five indictments against four individuals. Tonya Applegate, 32, and Jonathan Ecklar, 47, were named as co-defendants in an Oct. 10 assault of Antonio Gonzales. 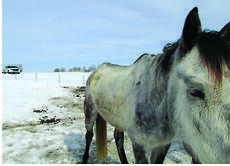 A Harrison County woman apparently fled the state rather than face 16 counts of animal cruelty charges when law enforcement discovered and seized a dozen malnourished horses on a Hendricks Lane farm lot last week. Republican Steve West claimed the 27th Senatorial District seat in a special election Tuesday. William Hyatt, who taught school in Harrison County in the 90s, entered a not guilty plea to each of four counts of first degree sexual abuse with a victim under 12 years old.